The medical field is an important and growing field, with many degree and career opportunities. You may not be interested in spending nearly a decade in school to become a physician, but that doesn’t mean that this life-saving profession isn’t possible for you. If you like to care for people, and enjoy health and medicine, a career in nursing might be a good choice for you. Here’s what you need to know about pursuing a nursing degree. There will always be sick people. Whether you’re old and need a regular caretaker, or you visit the doctor regularly and only go back in cases of emergency, nurses perform an essential duty in the health care process. In many cases, they can perform similar functions as a doctor. As the population in America continues to age, nurses will be increasingly in demand, making this an appealing career choice. Once you have your nursing degree, you have to maintain your certification as well as a clean record. However, compared to other fields, the certification is easier to transfer across state lines, and if you work for the Veterans Authority, this is not a concern. While your certificate may not transfer internationally, you will still have an important body of knowledge that can transfer into work in home care, working with the elderly, or special needs people who require specialized attention. 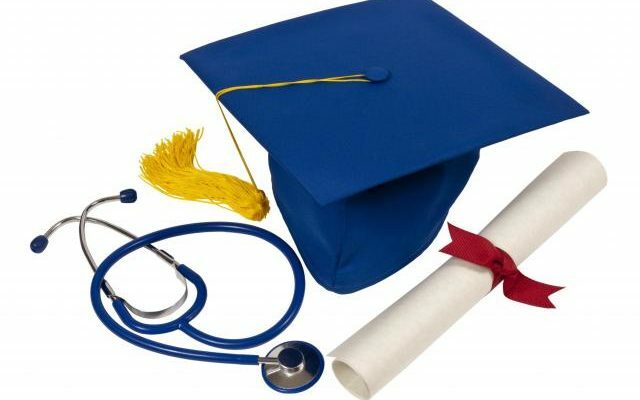 Nursing is a commonly offered degree, and as such, there are scholarships to be had. Some hospitals and organizations will partially pay for your tuition if you agree to work for the after you get your degree. The demand nurses also means that you’ll likely find employment shortly after getting your Associate’s Degree in nursing. Other degree types of nursing certifications include LPN (Licensed Practical Nurse), LVN(Licensed Vocational Nurse), RN(Registered Nurse), BSN(Bachelors of Science in Nursing), not to mention Masters and Doctoral Programs. As you can see, there are options when it comes to the nursing field. And if you’re people-averse, you can apply your skills to animals — they need medical care too! Just like there are sick people everywhere, there are also nursing schools everywhere. It is very possible to study and work abroad in exotic locales, have adventures, and earn a degree at the same time. Additionally, you can volunteer to nurse for international medical aid organizations like Doctors Without Borders. It can be draining and emotionally taxing, but a career in nursing is a fulfilling life-long endeavor. You’ll be able to help sick people return to health, as well as care for people as they leave this world. The stability of a career in nursing can bring is also enticing. Next: Can I Earn a Law Degree Online?